Arena Soccer is the ultimate aid for for developing soccer skills. It provides children with a safe place to play and develop their skills at home, between practices and games, alone or with their friends. 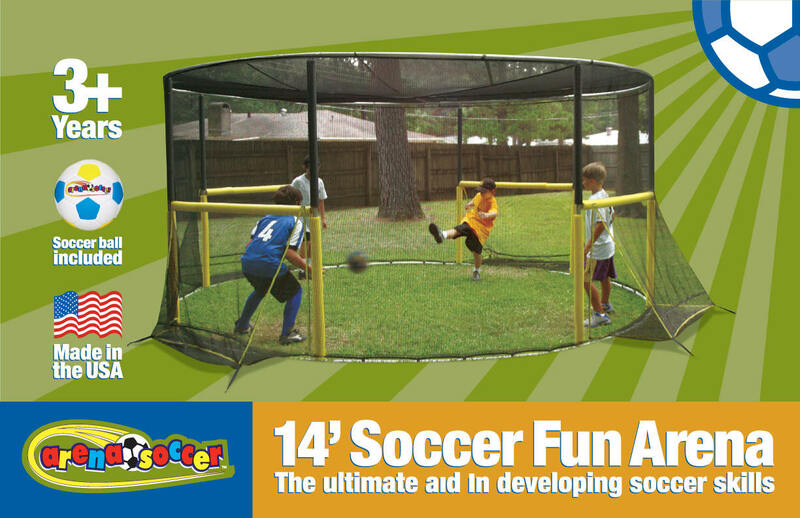 This fully enclosed arena produces more touch with the ball and improves reaction time and eye/foot coordination. It is perfect for both serious soccer players and backyard fun for all. The arena can also be used for street hockey, T-ball, and other games. Click here to find out why kids, parents, and coaches love ArenaSoccer! A UV shade cover is also available for your ArenaSoccer unit. Please check with your local dealer for details. This unique and exciting new product has now been sold internationally in over twenty countries.